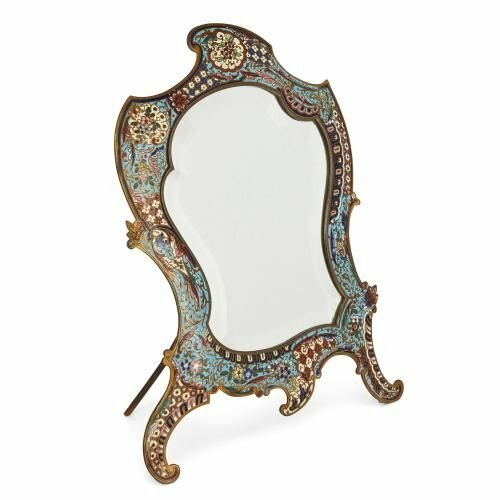 This highly intricate French table mirror, crafted in an unusual Rococo-style curved shape, will make a charming addition to an antique dressing table. 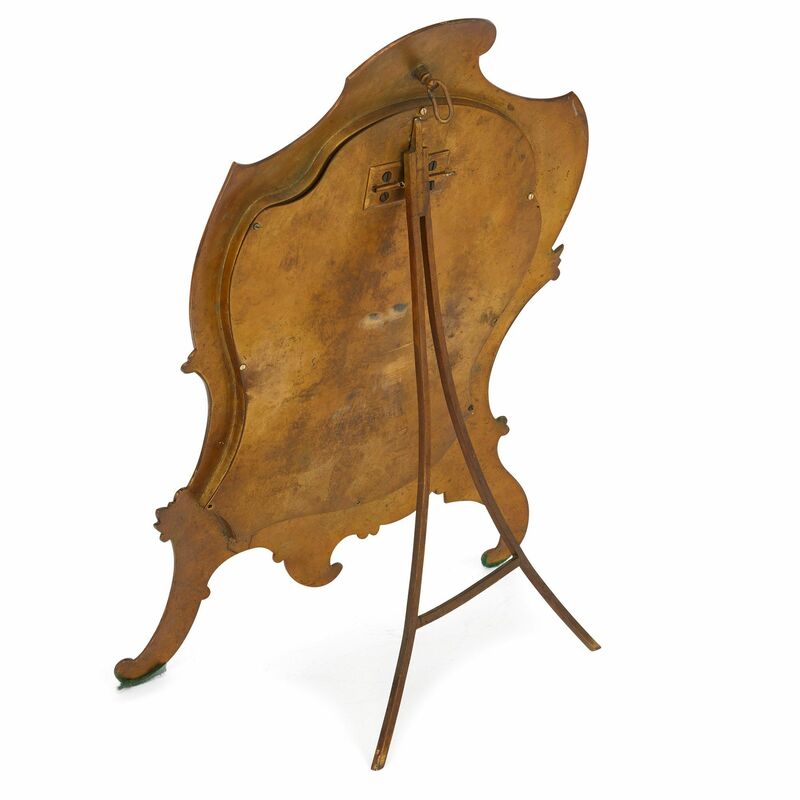 This small table mirror dates from the late 19th Century in France, but its curved shape is an allusion to the exuberant Rococo style of the 18th Century. 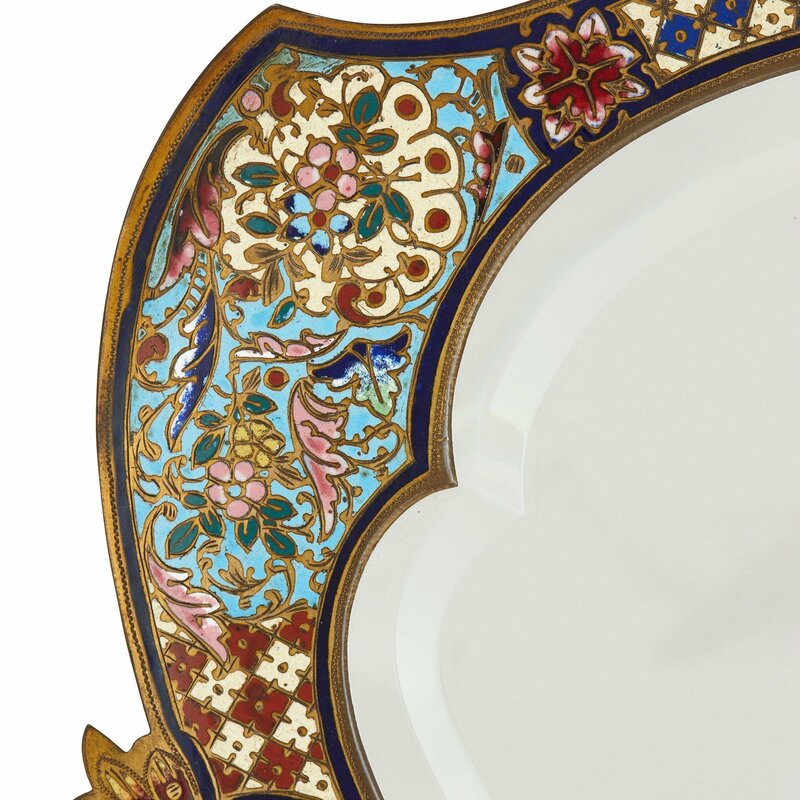 Its shape is known as 'cartouche form', and the frame is decorated with beautiful, intricate floral and foliate motifs made from coloured enamel. 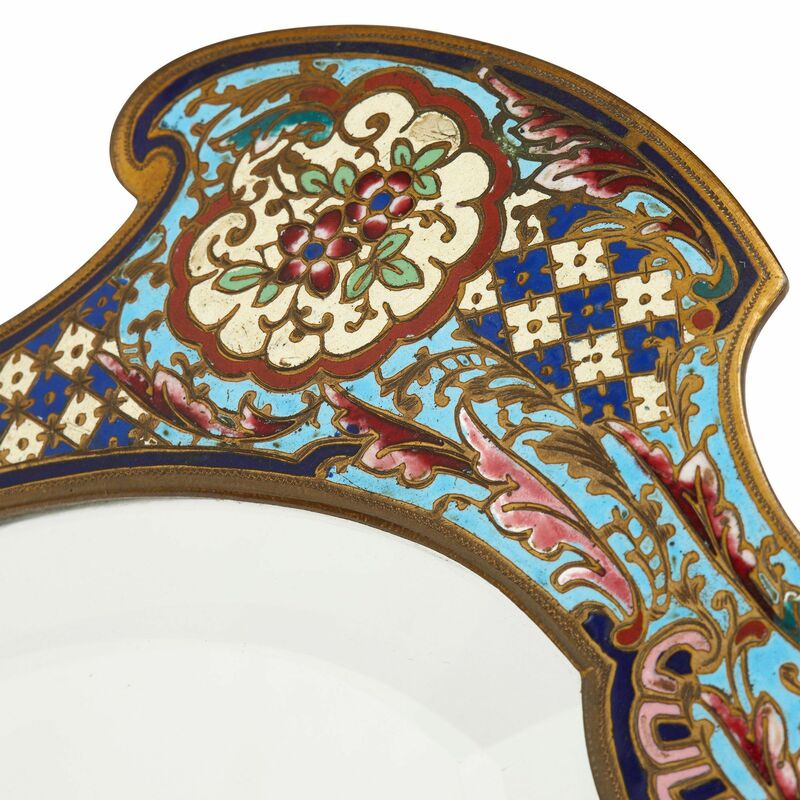 The enamel has been applied using the complex champleve technique, which involves engraving grooves into a metal backing to form shapes, and pouring enamel paste into these grooves to provide the colour. 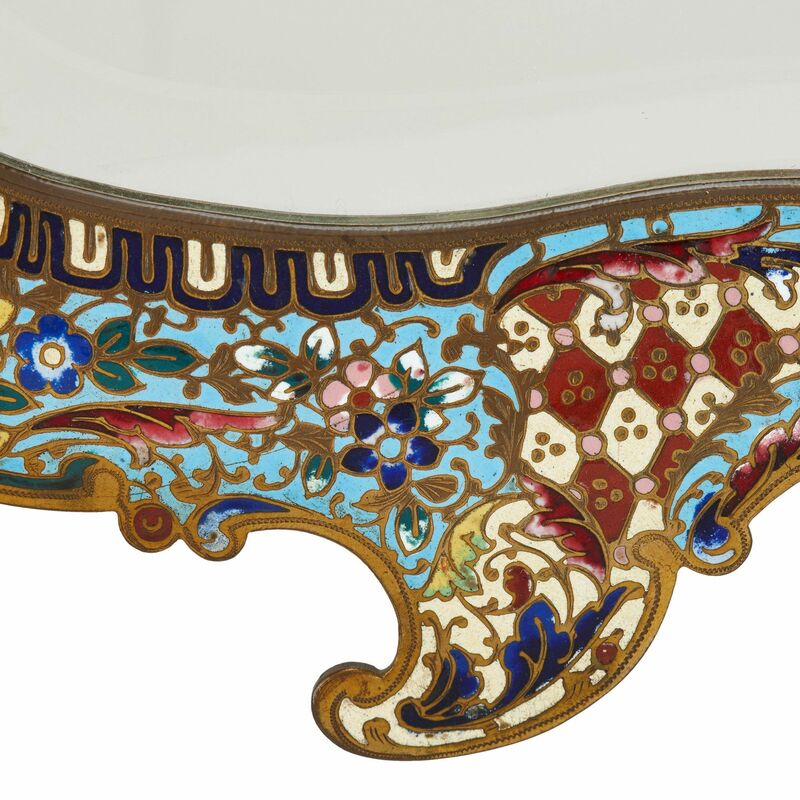 Here, the enamel work is particularly intricate, showing a range of geometric patterns on the mirror frame's scrolled feet, and gold, red and green floral motifs on turquoise ground around the edges of the frame. 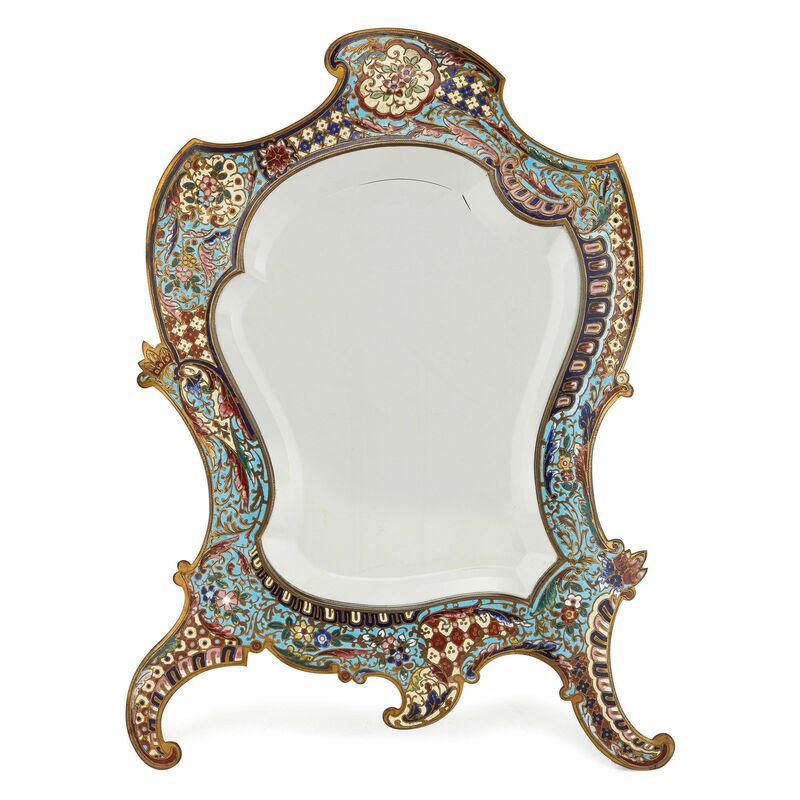 The very top of the frame is decorated with a white and red floral design.